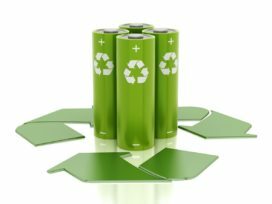 Environment friendly green batteries with recycle icons isolated on white. “Apart from the e-bike battery production BMZ’s after sales services include long warranty periods, long replacement part availability, batteries that can be borrowed, and now also battery recycling. BMZ’s Central Service department offers customers access to battery disposal and recycling experts by telephone and by mail,” explains Sven Bauer. BMZ GmbH has been working with the European Recycling Platform for many years to secure valuable materials for the future. Each battery has a limited life span, which means they become unusable after a certain time period and must be disposed of. Most types of batteries contain poisonous heavy metals such as nickel, cadmium, or mercury. All of these heavy metals can be reclaimed and reused. Recycling means saving valuable raw materials and energy, saving limited space, securing a healthy environment and a better quality of living, and reducing health hazards for now and for future generations.